and reduce the appearance of discoloration and pigmentation caused by exposure to the elements and the normal aging process. This superior moisturizing crème helps skin appear brighter and more radiant for a more even, flawless complexion. 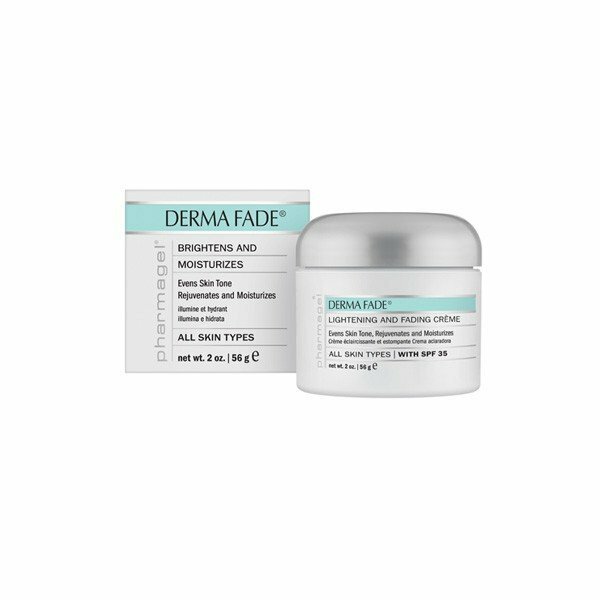 Hydroquinone-free, the ingredients in Derma Fade have been shown to help skin appear brighter for a more even, youthful appearance. Containing three effective sunscreens, Derma Fade has an SPF 35 to help protect skin from the sun's damaging rays. TO USE: Apply a small amount to face and throat morning andevening after cleansing and toning. May be used over Bio-A Concentrate and Pharma-C Serum.